Last weekend I went to a spa for the afternoon with a good friend. We lounged in our robes and enjoyed the hot tub and steam room, and I had the most amazing massage of my life. The massage itself was pretty darn nice - heated lava shells and aromatic oils and all sorts of luxurious silliness - but what made it so amazing was how I approached it. Often if I have a massage my mind tends to wander. I start to think about what needs to be done at home, or an upcoming project for work, or an issue that's been bothering me. I end up using this precious time I've set aside for myself as an opportunity to make 'to do' lists and puzzle through problems. This time I was determined to simply enjoy. Throughout the massage, every time my mind wandered I would rein it back in. I would focus on the muscles that were being loosened and the warmth of the blankets and the ease of mind that was developing. I would try to envision the additional benefits that this massage might be enacting deeper within my body as well - promoting circulation and releasing toxins, whatever the spa propaganda might have promised. True or not, experienced or imagined, there was something to this focus and visualization that helped me to stay connected with the experience and to fully realize its benefits, both physically and mentally. At one point, while I was lying on my back on the massage table, the masseur placed a warm cloth over the upper half of my face, scented with something lovely. He placed a second warm rolled cloth under my neck so that my head was fully supported. He inclined the table slightly so that my body was completely comfortable, and continued with the treatment. Suddenly I was no longer on the massage table. I was a constellation. Made of stars. Floating out in the galaxy somewhere. There was a star representing each of my hands and feet, and one for my head as well. A 5-pointed constellation floating out above earth. I focused in more minutely, and I could see that this constellation was actually made up of millions of tiny specks of light. Each radiating its own energy and contributing to the glow of the constellation as a whole. The infinite specs were held together by gravity, so that as I moved away from the constellation once again, they blended together to form the 5 points that I initially saw. As I zoomed further out, those 5 points continued to blend together to create one brilliantly bright star. 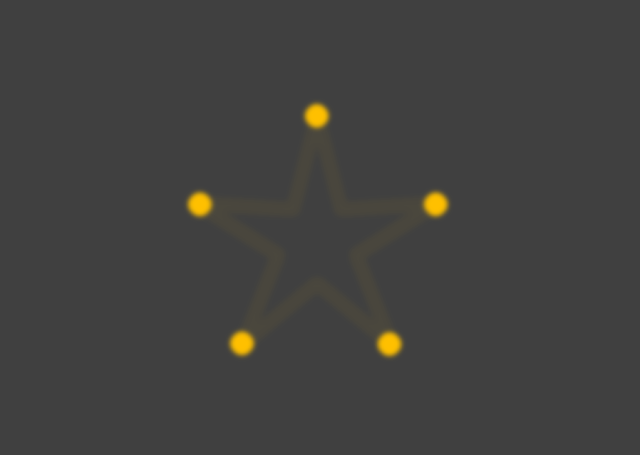 If you are following, that star = me. I realized that I have an energy and a glow that is made up of all my millions of parts. Each works its hardest to contribute to my overall being - my miniscule little foot molecules each toil away at making sure my foot works properly, each little leg spec does its part, each hand molecule, each heart molecule, etc. With the grand finale being me - a beautiful, powerful, valuable source of energy and light. This star, this beautiful bright star that represented me, was surrounded by infinite other stars. Together, we formed the universe in which we all live. Just as my millions of parts have value and worth and energy, so do we all. We each contribute to our world and we each have value, simply by being here. It was such a beautiful and hopeful thought - that everything and everyone has a role to play, from the most minute, like cells working together to wiggle a finger, to the most grand, in the individual and combined scripting of our world and our destinies. I became so aware of my own value, and of the value in us all. And so aware of the impact that we all have on our world and on each other. And so very, very grateful for all that goes into my being. It deserves it and so do I. Shine brightly my friends! From Bloat to Bliss in 10 Easy Steps!